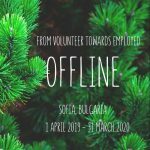 Volunteering project in EU guidelines – a must read for every to-be a volunteer and anyone who is considering becoming one. Important – EVS does not exist anymore. It is inherited by a new program and below are some links to it. Before you leave for volunteering or before you decide to apply to an volunteering project, please, consider this information as something that might allow you to feel more secure and see yourself as a partner in a volunteering project. Yet, Erasmus+ and European Solidarity Corps are only two forms or opportunities to provide volunteering services in the world, and more specifically in the European Union. If you need assistance, please, use the contact form on this website and we will do our best to support you by giving information, connecting to partner NGOs which have placements etc. And remember – volunteering is learning. Join only if you are ready to serve and learn. Volunteering activities allow young people aged 17-30 to express their personal commitment through unpaid and full-time voluntary service in another country within or outside the European Union. Young volunteers are given the opportunity to contribute to the daily work of organisations dealing with youth information and policies, young people’s personal and socio-educational development, civic engagement, social care, inclusion of disadvantaged, environment, non-formal education programmes, ICTs and media literacy, culture and creativity, development cooperation, etc. Volunteers can do their voluntary service either individually or in group. The participation in a volunteering activity must be free of charge for volunteers, with the exception of a possible contribution for travel costs (if the Erasmus+ grant does not fully cover these costs) and additional expenses not linked to the implementation of the activity. 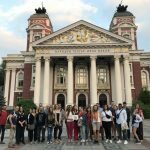 The essential costs for volunteers’ participation in the activity are covered by the Erasmus+ grant or through other means afforded by the participating organisations. Young people with fewer opportunities can receive additional support to enable their participation.